Why book elsewhere when you have an oceanfront hotel near relaxing beaches, celebrated nightlife, delicious restaurants, and fun local attractions just steps away on Ocean Drive in Miami Beach. Plan your staycation today and see what our boutique South Beach hotel has to offer. Want another perk? We offer discounted pricing and exclusive perks for Florida residents. Florida Resident Special Includes: Special Discount $10/night Valet Credit Hot Breakfast Premium Wifi Beach Chairs and Towels In-Room Nespresso Welcome Amenity Promo code: FLRESIDENT Terms & Conditions: Valid FL Resident ID required at check-in time Not valid in conjunction with other offers Present a valid Florida ID when you check-in. Enjoy a wonderful night's sleep at a South Beach hotel that prides itself on customer satisfaction. 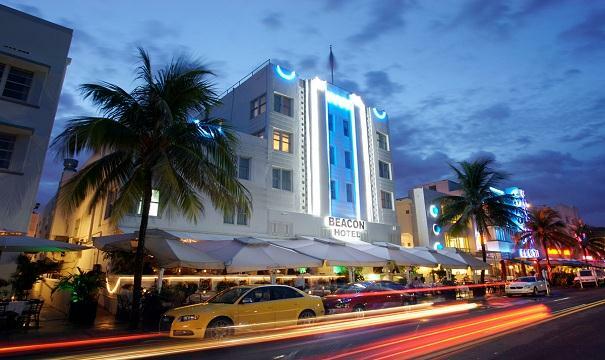 Beacon South Beach Hotel treats locals like family.